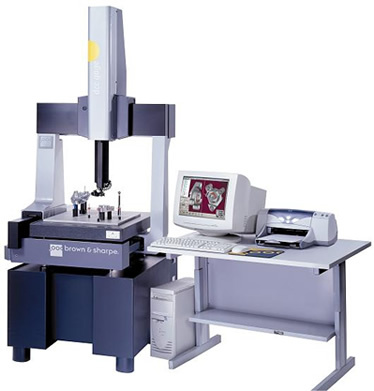 A CCM (coordinate measuring machine) is a machine used to measure the physical geometry of a given part. 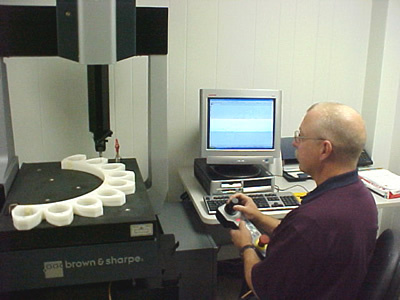 A probe, first controlled by the user and then by the computer, is used to pick up and measure the part features. The numbers and geometry is translated from the probe to a CAD program, which then can be used for design or machining purposes.